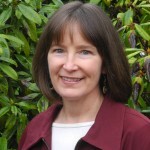 Patricia Hallam, L.Ac., is a Licensed Acupuncturist in the state of Oregon and is the owner of Sunset Healing Arts Center. In addition to a master’s degree in Acupuncture & Oriental Medicine from the Oregon College of Oriental Medicine, she also holds an MPH in Public Health Policy & Administration from UC Berkeley and a BS in Genetics from UC Davis. In addition to acupuncture, Patricia often combines Chinese herbal medicine, dietary advice, acupressure, Shiatsu massage, and infra-red heat therapy to create a treatment plan tailored to the needs of each individual. She believes strongly that her role as a practitioner is simply to assist her patients in discovering and maximizing their own innate ability to heal. Active in the field of health and healing for over twenty years, Patricia began her career as a pre-medical student, but took a detour into health education when she realized that preventing illness was the best medicine of all. During her last year of undergraduate work at UC Davis, she worked as a health educator on campus where she developed and facilitated a variety of workshops on nutrition, fitness and stress management for students. Desiring to expand her involvement in the preventive medicine arena, she also volunteered as a perinatal health advocate at a local community clinic, where she worked to ensure that the migrant farmworkers and other low-income pregnant women the clinic served got the prenatal education and services they needed to have healthy babies. After graduation, Patricia’s long-time fascination with other cultures and deep desire to better understand the world around her and her place in it led her to serve as a U.S. Peace Corps Volunteer in Thailand, where she worked with Thai government agencies to promote health and nutrition programs in rural farming communities. Upon her return to the U.S. and completion of her first graduate degree, she spent the next decade of her life contributing to the public health at Kaiser Permanente in California, where she managed various research studies designed to evaluate the safety and efficacy of new pediatric vaccines before they received FDA licensure, as well as monitor and investigate the potential adverse effects of vaccines post-licensure. Having had a deep affinity for and special interest in Asian cultures and spiritual philosophies for most of her life, Patricia’s interest in oriental healing methods first developed in the early 1990’s, as she completed a course of study in acupressure massage therapy at the Acupressure Institute in Berkeley. Soon after, she began volunteering at the Charlotte Maxwell Complementary Clinic, a facility dedicated to providing complementary and alternative medicine services to low-income women battling cancer. Inspired by the relief and comfort this ancient healing modality provided to the women she treated there, she decided to seek treatment with acupuncture and herbal medicine for some of her own recently diagnosed health issues. When these healing methods proved to have curative results for a condition conventional medicine had only symptomatic drug treatment for, she knew she wanted to learn how they worked and be able to use them to help others. In her spare time, Patricia enjoys gardening, spending time in the beauty and stillness of nature, studying and practicing the spiritual discipline of mindfulness, and taking time out to appreciate and participate in various creative endeavors. She has always enjoyed arts and crafts, and is never without a decorating, sewing or jewelry making project. She also finds great pleasure in vocal music and has been a member of many types of choral ensembles throughout her life. She has studied and taught as an apprentice voice teacher at the Transformational Voice Institute and also helped to found the Portland Threshold choir, a group of women dedicated to providing the soothing, healing benefits of music through a cappella singing at the bedsides of people struggling with fear, pain, and suffering at the threshold between life and death. More recently, she has begun to compose music for this group and worked with other members of the choir to create a CD of original songs . Patricia has also had a long-standing love and appreciation of dance in all its many forms. She studied ballet for many years in her youth, danced in musicals and with modern dance troupes in high school and college, and enjoys taking dance classes and attending performances when she can. It is her belief that participating in activities that give one joy is an essential part of creating and sustaining vibrant health. For more information on the services Patricia provides or to schedule an appointment, please call her at (503) 421-9339, or email her at: patricia@sunsethealing.com.